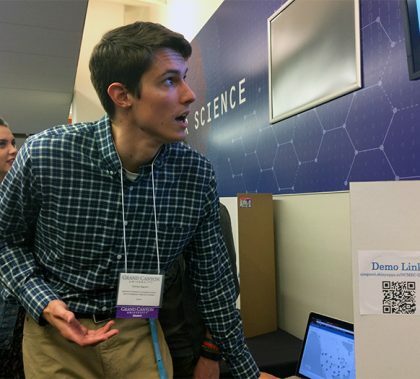 A National Center for Missing and Exploited Children app, a video game about a time-traveling cop just trying to retrieve his stolen Slushee, and a Days of Prayer app — they were just three of the projects presented at the Technology Capstone Showcase. About 40 students mingled with industry leaders to present the projects they’ve been working on over the past few months. 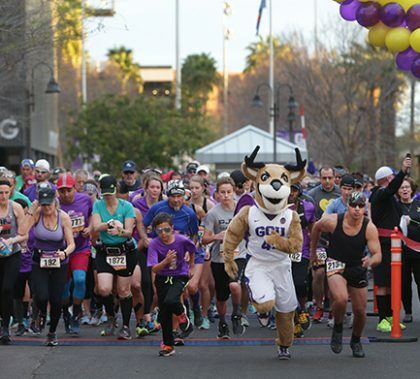 Abriel Bentley, donning her new prosthetic leg Saturday, looked across the crowd at the eighth Run to Fight Children’s Cancer, where she spotted Larry Chloupek, another leg amputee who broke a Guinness World Record in the run’s 10K in 2017. 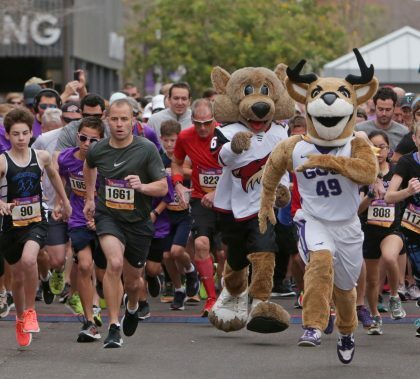 Those are just two stories from event this weekend, which saw more than 2,200 registered runners and walkers helping to bring attention to pediatric cancer while also helping raise funds for Children’s Cancer Network and Phoenix Children’s Hospital. Photos by Travis Neely GCU News Bureau The Grand Canyon University men’s basketball team lost to New Mexico State 72-58 in the final of the WAC Tournament on Saturday night in Las Vegas. This week’s edition of Antelope Intros features a senior financial analyst and Chicagoan who loves food and baseball. The other is a library supervisor who can’t get enough of a certain TV comedy. 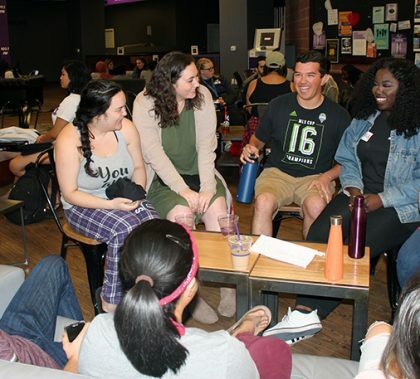 The Human Library project on Thursday allowed students and staff at Grand Canyon University to have one-on-one conversations about personal stories and struggles. The human books were volunteers open to narrate their stories at GCBC, and people turned out in large numbers. Stories ranged from racism to foreign accents and from being Jewish to Christian. Photos by Travis Neely GCU News Bureau In its first game ever in the Western Athletic Conference Tournament, the Grand Canyon University men’s basketball team rallied from a 16-point deficit to defeat Missouri-Kansas City 77-74 Thursday afternoon at Las Vegas. 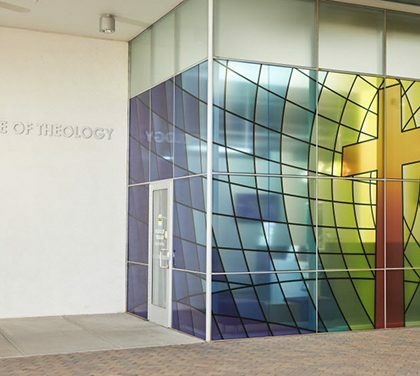 The College of Theology and Grand Canyon Theological Seminary tried something new this year: Pastors Roundtable is designed to give access to church leaders doing the very missions students hope to fill someday. The midday timing has a been a hit — every session has been full.